Our Rocky Creek Barnwood Headboard is handcrafted from century-old reclaimed planks, distinguished by the rich and rustic character that captures a time of simplicity from years past. 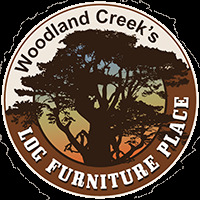 Each piece of furniture is a one-of-a-kind piece of art with the patina and natural character marks made from old saws, nail holes, and abrasions made by some of the first settlers of this part of our country. By produly reclaiming this wood, we preserve the hard work and history associated with it while reducing the impact on our environment. You definitely won't want to miss the rest of our Rocky Creek Barnwood collection. Low gloss, catalyzed lacquer finish.